Google has proven itself to be a company that knows when to cut its losses with a product, so that alone makes us feel like Google thinks the set-top box war is one that it can win. With that in mind, the company has announced that it will be showing off more Google TV boxes at CES this year, and will be pushing functionality like voice command and the new PrimeTime guide. We have to say that each year, Google TV looks cooler and cooler, but every year it has the same problem as well. There is one big problem with the idea that Google has: cable providers have absolutely no interest in supporting the product. More than that, cable providers want Google TV to die, because Google TV threatens to show people that the set-top boxes we "lease" from our cable companies are terrible old dinosaur products that cost far far far more than they are worth. Of course, cable companies (for some reason) are allowed to ban 3rd parties from making compatible set-top boxes (which seems like an issue the government may want to look into). Anyway, Google is trying again to break into the set-top box world through its software (since it sold off the hardware division it had in the market). The new Google TVs are planned to come from traditional hardware partners LG, Vizio, and Sony, as well as new partners Asus, Hisense, TCL and others. In addition to pushing the voice command features (what you'd expect if you've used Android in the last 3 years), there is also a new PrimeTime guide. 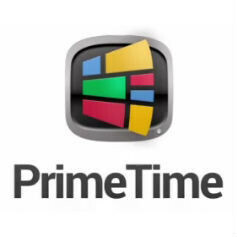 The PrimeTime guide sounds pretty sweet in that it will show you listings of your favorite shows and favorite channels, so you don't have to sift through a guide. Of course, if you're someone worried about getting trapped in an echo chamber, maybe that's not such a good feature. "cable companies (for some reason) are allowed to ban 3rd parties from making compatible set-top boxes (which seems like an issue the government may want to look into)." Best point in this whole article. Its amazing what they let these companies get away with. The boxes for cablevision are horrible and expensive to rent with the service. If they made a Google TV with Nexus Q features and put it in the body of a Nexus Q, I'd be at Best Buy the next day. Come on Google, make me proud. Thats vizio michael you forgot the z. It vizio not visio. Just to let u know. Fixed! Thanks for the kind correction. So far I've tried both apple and google tv.. Both in the state that they are in are terrible and there's no way I would change from TW unless they can provide what I need as far as programming goes.. The idea is there but not executed very well.. Without content , there is no sale, no matter how gee-wiz and high spec. it is. The cable companies don;t have much in the way of content either, but they have a monopoly.